Training for RAAM is in full swing. I am following the same training plan that I used for solo RAAM in 2007. I just finished the first month of the eight month plan and it’s starting off well. My average speed was more than 1 mph faster than the same period in 2007. On Sunday I had a 9 hour, 160 mile ride on my schedule, so I rode up to the White Mountains, climbed the Kank, then turned around and descended back to Lincoln. I then rode up Gonzo’s Pass. With 6 hours completed, I descended Gonzo’s and was looking forward to heading south and home. The last 50 miles of this loop is usually pretty speedy, partially because of the terrain and partially because I can see the barn door. Unfortunately, as I turned south, I was met by a steady head wind. It was clear, that the last 50 miles of this ride, were not going to be easy miles. I pushed into the wind and soon my mind turned to the leftover lasagna waiting for me at home. I could almost taste the spicy sausage my wife uses to give her lasagna that extra bite. As the wind pushed me back, I kept spinning my legs, thinking about that lasagna. Finally, I defeated the wind and made it home to my reward. On Sunday I rode for lasagna, but in June I will ride for a bigger cause. 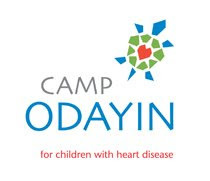 I am racing RAAM, raising money for Camp Odayin, a residential camp for children with heart disease, and for Special Olympics, NH. Many of you know that our son Noah was born with a brain injury. We have experienced firsthand how Special Olympics helps to develop improved physical fitness and motor skills, greater self-confidence and a more positive self-image. Their athletes' oath "Let me win. But if I cannot win, let me be brave in the attempt." carries a lesson we all can learn from. So that is my first blog entry as I prepare for RAAM 2011. I hope you will come back and follow along as I prepare for another Race Across America. Brett, thanks for the update. Let more Lasagna push you through the Kansas wind!!! I hiked/climbed the White Mountain last fall. It was a great climb. Keep up the great work, we are rooting for you. Keep up your training! I am here and ready to cheer for U in June! Looking forward to read more blog from you. Keep up your training! I will be here and ready to cheer for you in june! Looking forward to read more from your blog. Keep up your training and I am here and ready to cheer for you in june! Looking forward to read more from your blog! Brett...of course we know you so well...admire you heart and fearful of your legs in a race! Im guessing we may be at the start line together..again! your training rides sound interesting. Way to go! Keep us up to date on your training! That sounds like a great ride. I start to think of potato chips for some reason. great blog! i learn few things in this post, thanks for the share. Just randomly came across your blog. What your training for is awesome! I will definitely be following as you build up to the event.